is the only Churchill quote book with each entry ref­er­enced with a date and source. There’s even an appen­dix on incor­rect quo­ta­tions (called “Red Her­rings”), and why they are not Churchill’s. 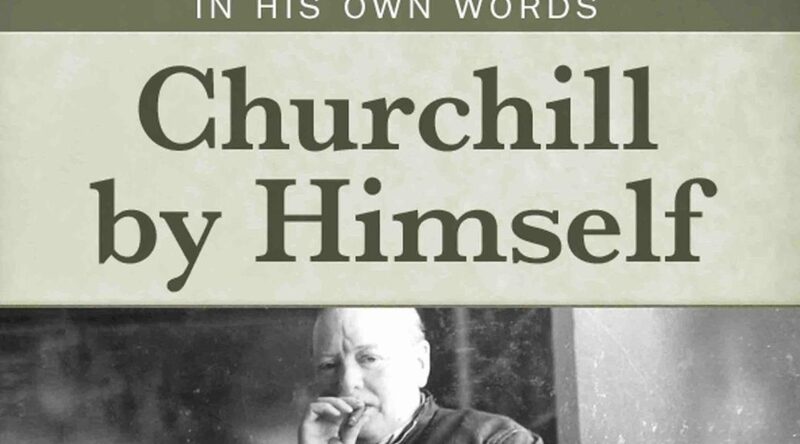 By Him­self is the only Churchill quote book to under­go repeat­ed reviews. The object is a text as close to Churchill’s orig­i­nal words as pos­si­ble. Just before the first pub­li­ca­tion in 2008, we found that a tran­scriber had made errors in copy­ing out many quo­ta­tions. Despite a mam­moth last minute effort they were not all caught. Two devot­ed proof­read­ers, Dave Tur­rell and Bar­bara Lang­worth, were deter­mined to get it right. I owe them far more than they were paid. Any book con­tain­ing as many ref­er­ences as this one is a con­stant bat­tle between con­trary sources, “experts” who dis­agree with each oth­er, and inex­orable dead­lines. We cor­rect­ed the major tran­scrip­tion errors and issued an ini­tial list of erra­ta for the first Amer­i­can and first British edi­tions. These cor­rec­tions are in the Amer­i­can Roset­ta Kin­dle edi­tion. Also avail­able, with cor­rec­tions, is the third British edi­tion (soft­bound), with an admirable new cov­er and a new title: Churchill in His Own Words. If you pre­fer a print to an elec­tron­ic edi­tion, I rec­om­mend this one. I do not rec­om­mend the Amer­i­can edi­tion pub­lished by Pub­lic Affairs, which has nev­er updat­ed their text. Recent­ly we began a review of every indi­vid­ual entry. We are also devel­op­ing a new expand­ed edi­tion. This will coin­tain 500 new quo­ta­tions, mak­ing near­ly 5000 in all. Many appeared for the first time in Hillsdale’s com­pan­ion vol­umes to the offi­cial biog­ra­phy: The Churchill Doc­u­ments. Ulti­mate­ly, will pro­duce dig­i­tal links with an elec­tron­ic search sys­tem being devel­oped by the Hills­dale Col­lege Churchill Project. The goal is to link all quote ref­er­ences in Churchill by Him­self to an online research site. This is a sat­is­fy­ing if labo­ri­ous process. It is also an edu­ca­tion. For exam­ple, we found many detail vari­a­tions in word­ing or punc­tu­a­tion between what Churchill pub­lished first, and his lat­er edi­tions. Churchill was a tire­less revis­er and often altered lat­er edi­tions. Only a few weeks ago we learned of key changes in his 1948 Nor­way speech­es, entered in his cor­re­spond­ing book of speech­es, Europe Unite. It’s the job of the book to point out these vari­a­tions, when sig­nif­i­cant. Robert Rhodes James’s Com­plete Speech­es or Hansard had record­ed. In these cas­es we assign pri­or­i­ty, when we have a choice, to Churchill’s own books. Sir Martin’s ver­sion is good enough for me, and if ever I con­tra­dict him, it will be when I find dif­fer­ent word­ing in one of Churchill’s own works. I am indif­fer­ent to miss­ing com­mas, which appear and van­ish in var­i­ous texts; but I retain any change that seems crit­i­cal. We have not attempt­ed to rec­on­cile instances of Eng­lish and Amer­i­can spelling. The word “organisation/organization,” for exam­ple, was used inter­change­ably, even in Eng­lish works. There is only so much ratio­nal­iz­ing you can do before you dri­ve your­self mad. Also on this web­site are the lat­est edi­tions to the “Red Her­rings” appen­dix, a pop­u­lar part of Churchill by Him­self. These pop­u­lar quo­ta­tions incor­rect­ly ascribed to him. Either he nev­er said said them, or, when he said them, he quot­ed some­one else. For me, the best erra­ta sheet of all will be the fourth and final edi­tion of Churchill by Him­self: In His Own Words, the cul­mi­na­tion of a thir­ty-year troll through Churchill’s inim­itable prose.